As one of North Carolina’s leading construction materials companies, The Sunrock Group supplies the products that build our world — and we’ve been doing it for over 60 years. Now we’re proudly translating that expertise to a full line of contracting services, allowing us to better meet the needs of clients in Raleigh-Durham and across the greater Triangle area. In the aggregates production industry, Sunrock is known for quality, integrity and service. 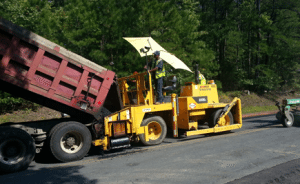 As an asphalt and grading contractor, we uphold those same ideals as we strive to deliver the superior experience our customers have come to expect. Sunrock’s contracting division also has a history of implementing “Green Construction” practices to the jobsite. Learn more about how Sunrock implements Sustainable Development . We’re proud to partner with municipalities in Raleigh-Durham and across the greater Triangle, offering solid road construction, interstate highway construction, city resurfacing and more. Learn more about Sunrock’s public and municipal heavy construction services. From grading and gravel to paving work, sidewalk installation and more, The Sunrock Group provides a full range of commercial site development services. 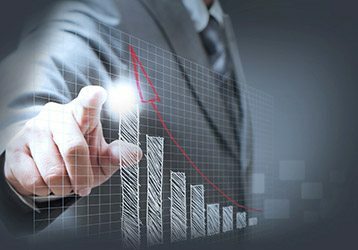 Learn more about our site development work. Sunrock offers turn-key parking lot construction services, including site clearing, site preparation, grading, asphalt paving and more. Learn more about our full suite of parking lot paving services. At Sunrock, we can handle your residential site development project from start to finish. Count on our contracting team to expertly handle all the details of road construction, driveway paving, concrete sidewalk construction and more. Learn more about Sunrock’s community site development services. Sunrock’s goal is to be the preferred supplier, employer, neighbor — and now contractor — in the communities in which we operate. Our superior construction materials, as well as our commitment to quality, integrity and service, enable us to meet and exceed the expectations of clients in Raleigh-Durham, NC and the greater Triangle area. Contact The Sunrock Group today to learn more about our heavy construction, paving and site development services! The Sunrock Group is a full-service site and road construction contractor, as well as aggregates producer, specializing in residential, commercial and municipal paving, grading and concrete work.